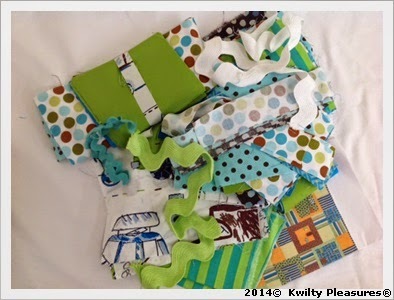 Who likes red, white and turquoise color combo in a kwilt? with an easy kwilt pattern? 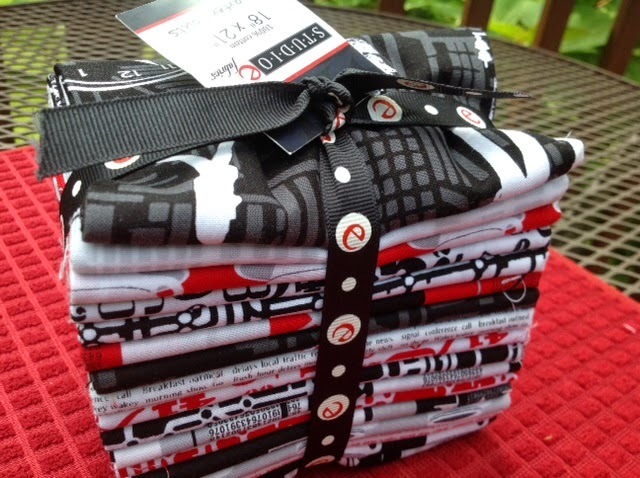 Who likes a polka dot binding? Who likes a kwilt care label? Who likes a fun stash backing? Who likes Polar Bears in August! I hope the who is YOU! a 2014 Stash Busting goal is met! and is available for sale in my Etsy shop. I am thrilled with the response from my bloggy and IG friends. 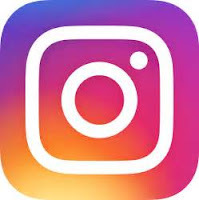 Man...now I know what all the hoopla is about IG. Y'all jumped on this like a bunch of Ghastlies on fire! I can feel the heat! Now to the stashing at hand! 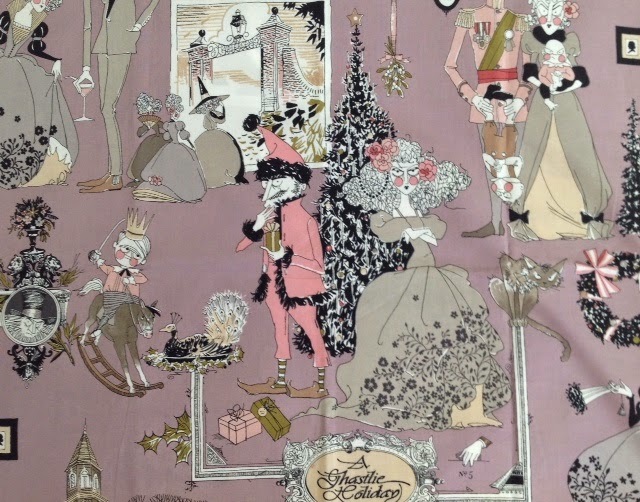 exciting fabrics that are constantly appearing everywhere! I am a gardener and love these birds, bugs and leaves! I luv it when I find a great sale. 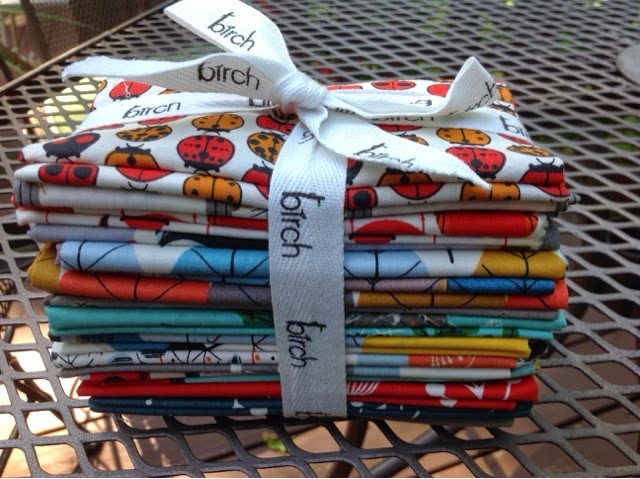 Thanks Fabric Worm who recently offered a recent 25% off. And a 5.00 discount code! Woot woot. well it will be very old news. But it will be MY old news! I took this stack of 13 FQs and made 5 projects. Only a few spots left so sign up today! Only have a small amount of it? 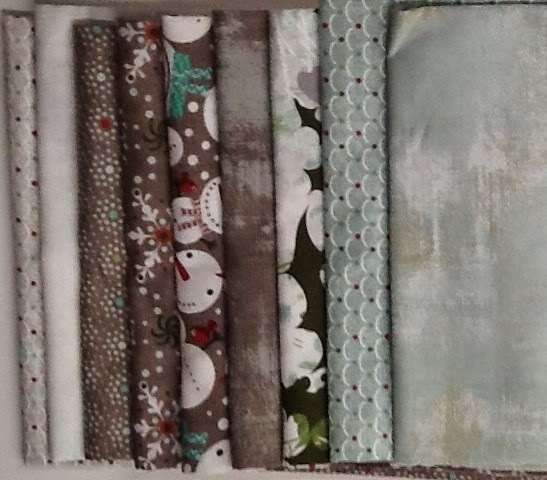 Add your stash fabrics with it. What could you make with just one finished block? Ghastlies in the center as the star! ... a pouch, a pincushion, a mug rug? 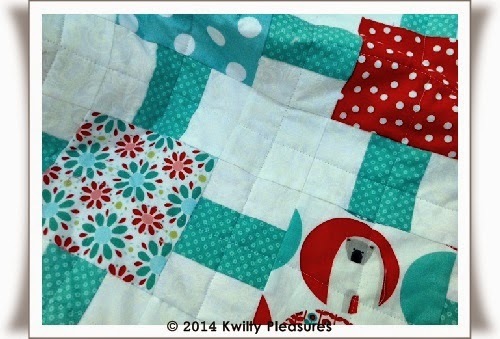 This block could be the pocket on a simple tote bag. 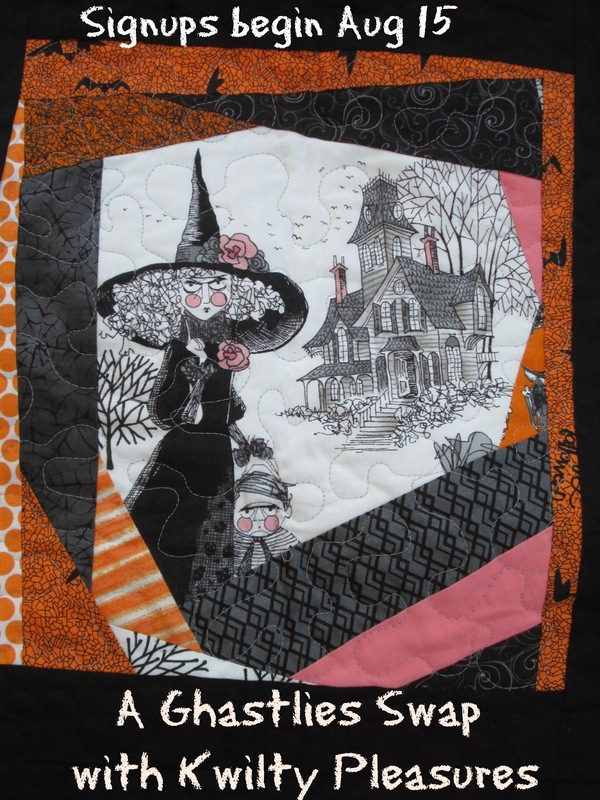 Have a piece of Ghastlies Fabric you don't want to cut? 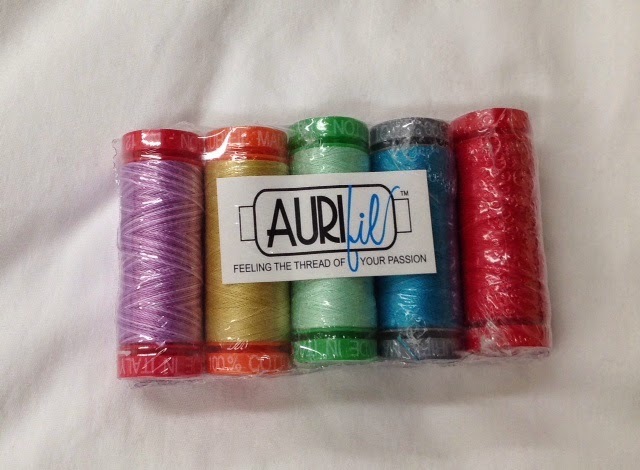 Hoop it and add embroidery enhancements! and we are gonna have a GREAT-GHASTLIE TIME! I do know how to throw a party! Click here for complete swap instructions and timeline! 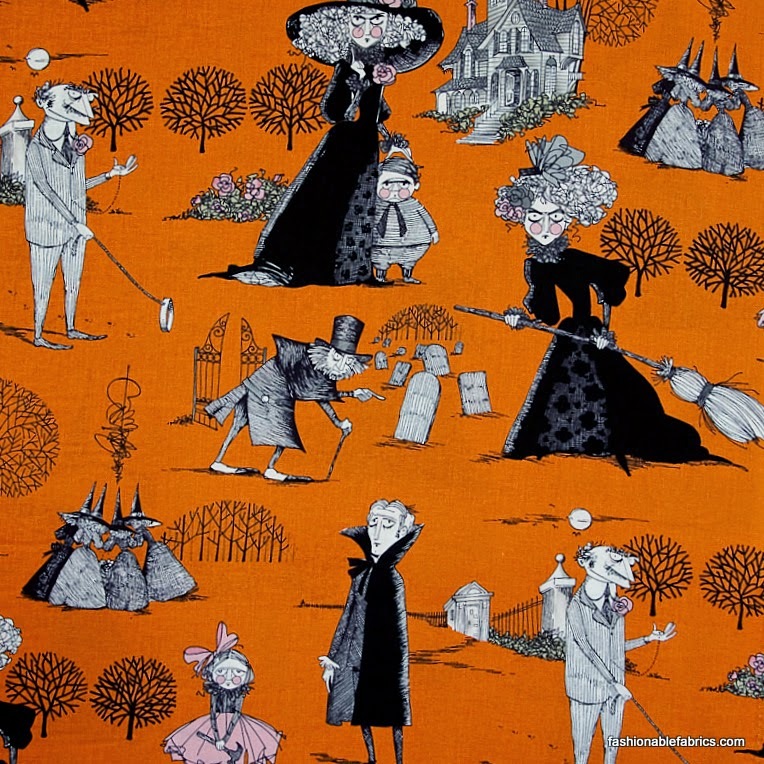 some Ghastlies fabric in stock now! Now get your GHASTLIES ON! What better ride than via a "Crayon Commute"
The pattern had me at ric rac! A fun addition for baby to find and fiddle with. 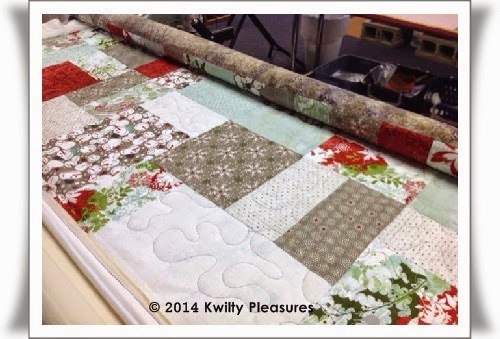 the backing is also "stash"
Another 2014 stash buster and 3QTR finish! 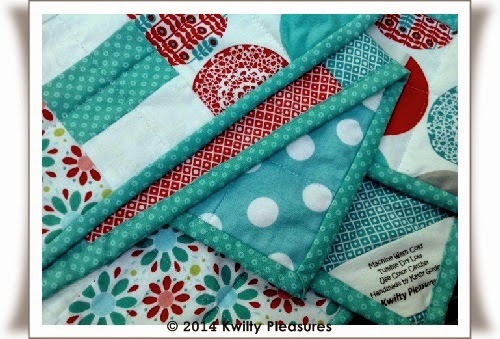 Linking up to Freshly Pieced...Sew Fresh Quilts...links on sidebar. 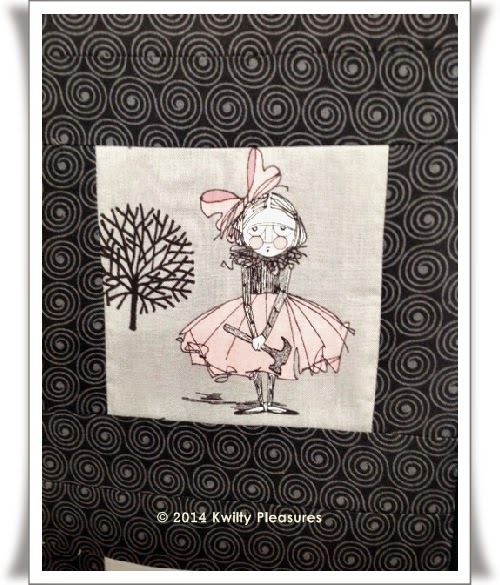 What is your favorite baby kwilt pattern? A HANDMADE CHRISTMAS - NIGHTMARE! does NOT mean you are! Here it is August..
had been sitting in my stash for sometime. "MODERN" Christmas/Winter kwilt...for my house! the kwilting was all done right? 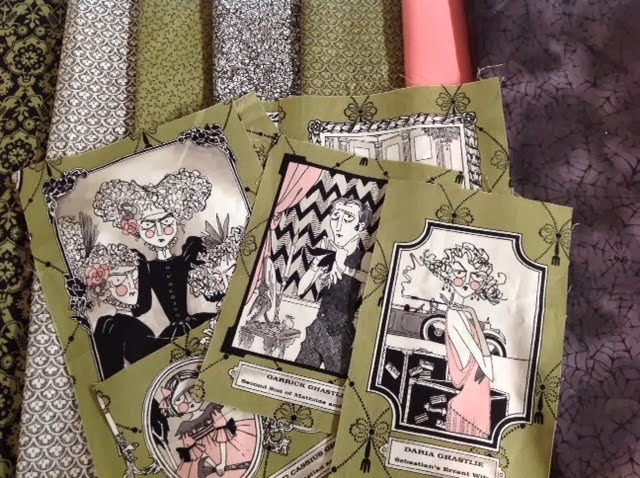 As I began to sew down the binding a nightmare unfolded! The thread on the back, over more than half the kwilt, was a tension mess! There were railroad tracks to hell! I had thread demons that I was NOT going to put up with! ripped out the stitches and began to re-kwilt on my Bernina. cause she seemed possessed with the same thread demons!!! and she is finally finished! forced me to slow down. The backing has some batiks cause that was in my stash. Isn't he just too cute with his snowman kwilt! 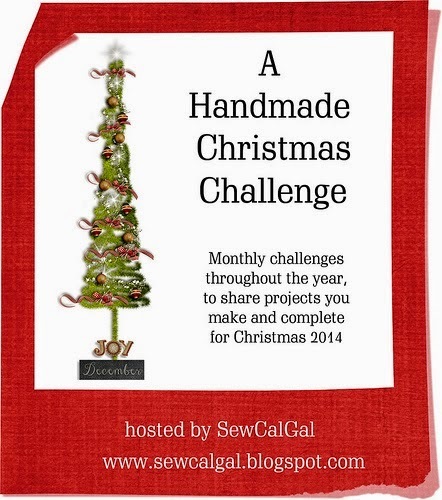 Don't forget you can join in the Handmade Christmas...anytime. 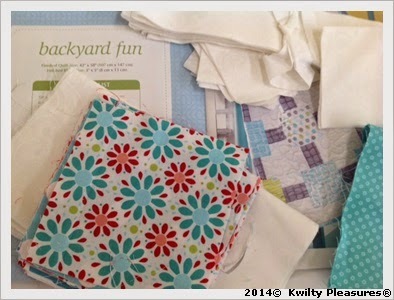 I'm linking up to Insights at Sew Cal Gals Linky! o Willing to mail International or just USA? 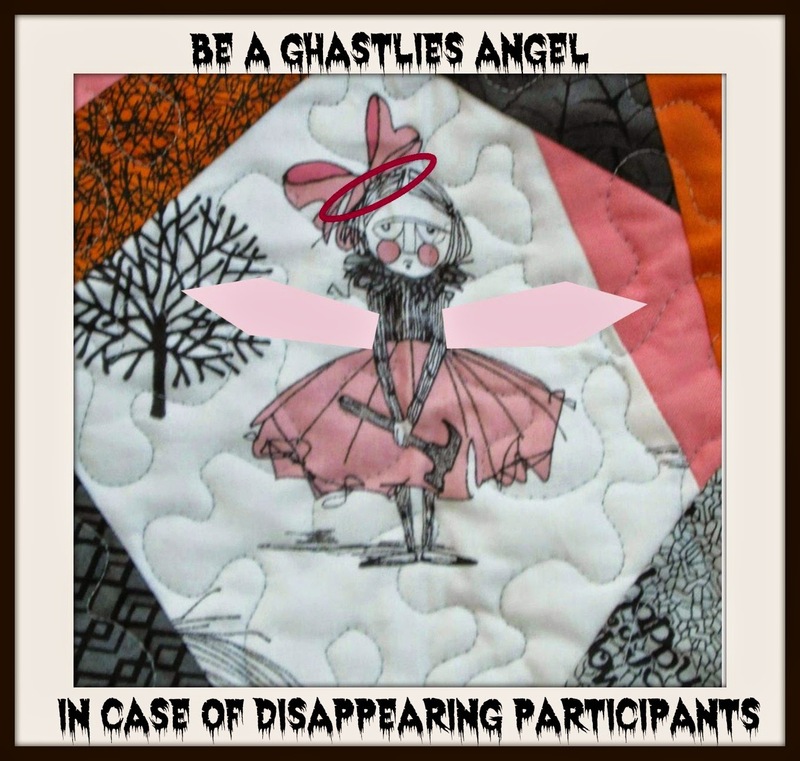 · Will you be a "Ghastlies Angel” and willing to make a little something extra in case someone has an emergency and needs to drop out. 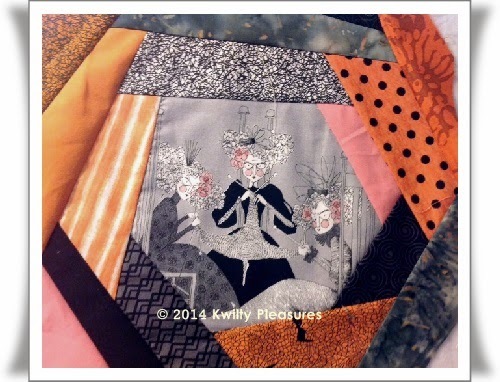 · You don't have to have a blog to participate but you must have an email address and be able to attach a photo of your finished project and email it to me. · Optional – send additional surprises to your partner. Your commitment is your word! What's your word worth? It's priceless! Email me ANYTIME with questions or concerns. 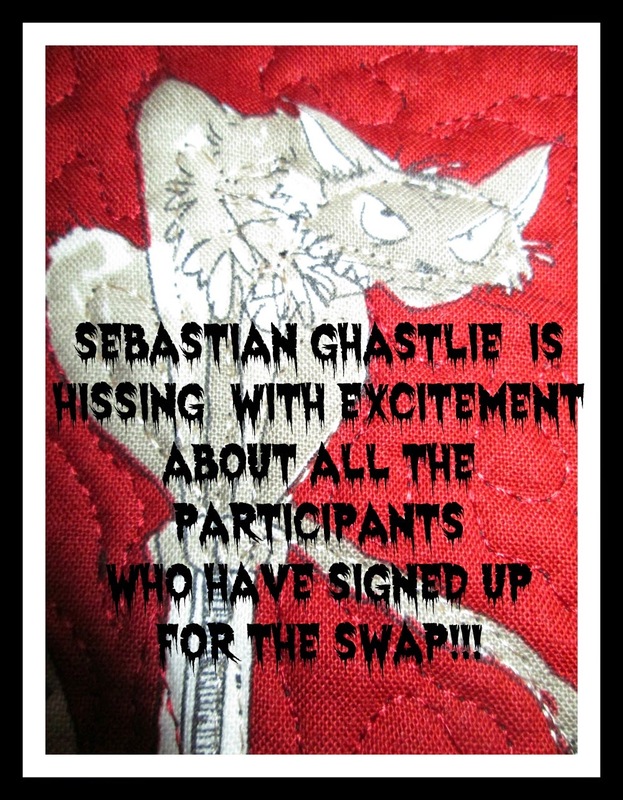 "Get their Ghastlies On" in this swap! I will also have a waiting list. than the rumor that the GHASTLIES END might be near! Today this post reviews the swap "instructions"
Easy to get to at any time. ONLY 3 DAYS TIL SIGN UPS BEGIN! · Your commitment is your word! What's your word worth? It's priceless! · “Ghastlies Family Angels” are willing to make a little something extra in case someone has an emergency and needs to drop out. · Keep your commitment - make this fun and Ghastlie! 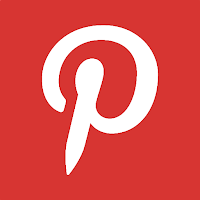 Linking up to Let's Bee Social...button on sidebar. an idea rattling thru your head of your project! will fit into your schedule! the guidelines and time deadlines. Since this is my first swap, I am limiting it to 30 participants. 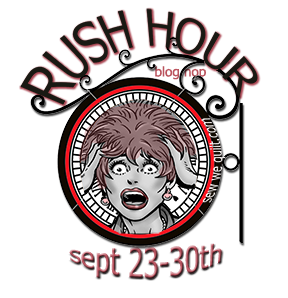 If more than 30 sign up - I'll put you on a waiting list. Linking up to Anything Goes Momday - link on my side bar! KARMA + GIVEAWAY + GHASTLIES = FUN! I have sent you an email for your mailing info! I had to pay it forward! to get your GHASTLIES on! to make one Ghastlies item! 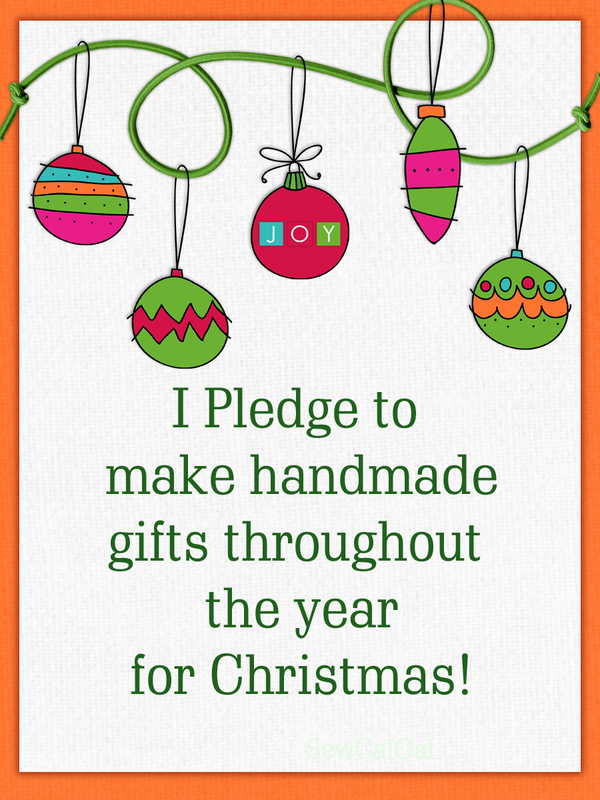 to post on your blog and help me spread the word!